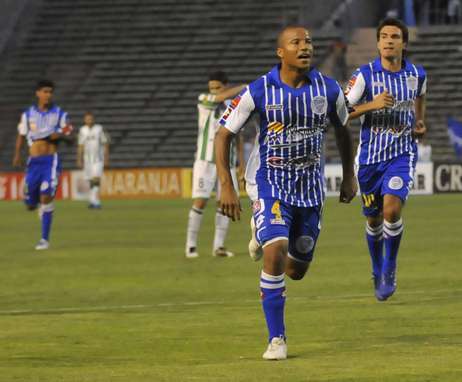 Godoy Cruz took a big step towards qualifying for the 2011 Copa Libertadores in Friday night’s only match, beating Banfield 2-1 in Mendoza. It’s a result that means if Racing fail to win at home to Quilmes on Sunday night, the mendocinos will have qualified for the Copa (by my calculations, anyway). They won the match on the back of a brilliant opener from David Ramírez, and a second from Carlos Sánchez, both of which came in the opening quarter of an hour, after which the match settled and Gabriel Méndez’s fluked stoppage time consolation for Banfield wasn’t enough. You can see all the goals right here.